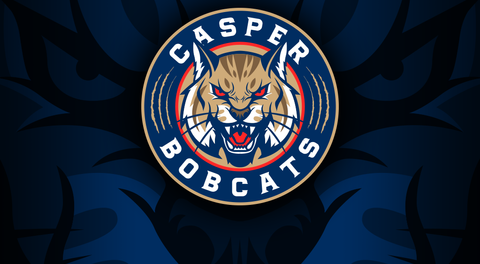 The Bobcats return to the Casper Ice Arena this weekend to take on the Steamboat Wranglers (4-17-1). We hope you'll be there to cheer on the Cats as they host their first annual BOBCATS" TEDDY BEAR TOSS on Friday, December 7th at 7:30pm. Bring a new Teddy Bear to the game, and when the Bobcats score their FIRST GOAL, throw those bears on the ice! The bears will be collected and given to Toys for Tots to be distributed to children in need this Holiday Season. This is a fun event that brightens the holidays for underprivileged kids. The Series will continue on Saturday, December 8th at 7:30pm and wrap up on Sunday, December 9th at 12:15pm. You can get your tickets in advance --and just print and show at the door, or show the receipt on your phone.